Epistemic status: Pretty sure of the structure of the argument (~80%), not so sure of the valence of the coefficients (~60% that agglomeration does not overwhelm the supply-demand effect). Epistemic effort: Medium effort. This idea has bounced around my head for almost a year, and over that time I spoke with several friends about it. Then, I had a long conversation in which I formalized it a bit more, at which point I decided to write it down. I then read it over once for minor editing and shared it with one friend to sanity check before publishing. There's a distinction within the YIMBY cause that's mostly unspoken, but it's important. Two of the key goals the movement aims to address are (1) to lower housing prices and (2) to unlock economic, cultural, and social potential. These are often described in similar ways and are in many cases complementary, but they are not the same. On one hand, there's a lot of talk about how building more will decrease prices because of the models of basic supply and demand curves from Econ 101. We'll call this goal the affordability objective: let's make housing affordable in key metro areas, both for residents who are already there and for those who'd like to come. Another related but different goal is about how much is lost as a result of locking people out of opportunities in the most productive regions. We'll call this the opportunity objective: let's make it possible for people to to participate in the economic and cultural dynamism in places that they're locked out of right now. For example, imagine we could know for sure that building more housing in San Francisco would have no effect on its price, and the only effect would be to make it possible for more people to move here. An affordability-focused YIMBY would not be happy with this outcome. In this hypothetical they would not push for more housing. They'd direct their energies towards subsidized housing, rent control, and other measures that would result in a lower price for some segment of the population. Meanwhile, an opportunity-focused YIMBY would continue to push for more housing. Now imagine a second scenario in which some policy decision would dramatically lower the cost of living here but not expand the number of units available. The affordability-focused YIMBY would be thrilled, while the opportunity-focused one would remain dissatisfied. Of course these instances are contrived. The YIMBYs I know care about both affordability and the opportunity, and the consensus is that building more housing will move us towards both goals, so the interests of both factions are aligned. However, implicit in many conversations is a ranking of which is more important, affordability or opportunity. When push comes to shove, which are we fighting for? It's important to understand this distinction and what would cause misalignment if a few assumptions prove to be incorrect. As simple as supply and demand... right? There is greater demand than there is supply, so costs go higher than they otherwise would (sad for those who prioritize affordability), and fewer people than would like can live in that region (sad for those who prioritize opportunity). Following this model, society is on net better off without the restrictions artificially constraining supply. 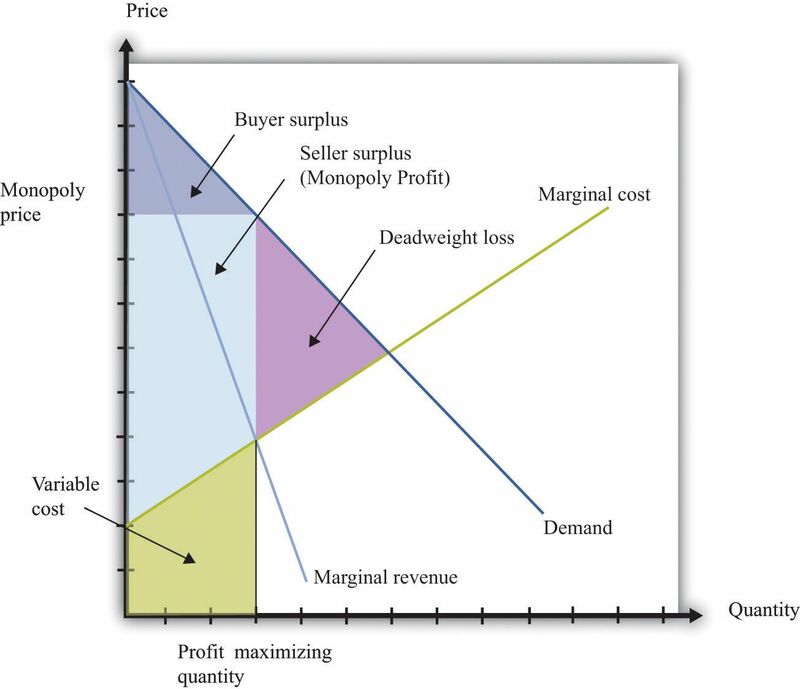 The constraints create deadweight loss, a net loss of producer and consumer surplus. Lifting them unlocks this surplus, lowering the prices for tenants and homebuyers and making it possible for more people to move in. Loosening zoning laws and other constraints on the housing market achieves both affordability and opportunity. Awesome, I can wrap up this post and go for a pre-dinner run now. Done! Just kidding, we're not done. This supply-demand model ignores something important: the value of living in a particular place is greatly determined by how many people live around it. As the number of people living in a place increases, so does the value of being there. This is often labeled the "agglomeration effect". How does this density and diversity enable urban life? Consider the neighborhood bodega in a big city. Its lifeblood is the constant flow of foot traffic generated by the surrounding urban fabric—the many overlapping entrances and exits of the “ballet of the sidewalk," as Jacobs famously described it. Large concentrations of both residential and working uses, connected by a walkable network of streets, draw people out at different times of the day, allowing the shop to open earlier and stay open later, thus reaping more profit and providing more convenience to customers. In other words, just like a bee pollinates flowers as it collects food for its young, the many customers that shop at the bodega unknowingly collaborate to create more choice, convenience and opportunity in the urban environment, simply by living their daily lives. Meanwhile, this virtuous cycle between pedestrian and shopkeeper also adds more watchful sets of “eyes on the street" to keep it safe from crimes of opportunity, and builds up a loose network of casual relationships between neighbors, a fund of “social capital" to be used in times of need. The issue with the conventional supply-demand model is that it assumes that supply and demand are functions of price and price only. At a first approximation, and maybe at the margins, this is basically true. However, it does not account for the fact that the population is also a critical factor in determining the shape of the demand curve for a particular place. If we were to overnight double the number of units available in a market and they all filled up to match the demand, we're now dealing with a radically different market. The amount of foot traffic to shops would spike, making it much more valuable to rent storefront retail space. The number of companies would grow dramatically, resulting in a greater diversity of opportunities for workers. And the number of workers would grow, making the labor market more liquid and deep for employers to hire for the positions they need. This agglomeration effect is analogous to the network effects in social media, marketplaces, and other platforms. Facebook is valuable because that's where your friends and family are. AirBNB is valuable because guests know that's where they'll find listings, and hosts know that guests will search for a place to stay. iPhones are valuable because the App Store is full of high quality apps, and developers continue to build on iOS since they know there are 90 million iPhone users out there to download their apps. Cities are a platform like any other; the more talented workers, innovative companies, fun restaurants, and quirky shops there are, the more people will come to participate. This feeds into itself, generating increasing value, unless access is constrained (for instance by strict immigration, immigration restrictions, or something else). The supply-demand model does not take this agglomeration effective into account. The point of is that, depending on the magnitude of this effect, increasing the supply could actually increase the cost of housing. The reason real estate in New York City is multiples more expensive than in upstate New York is because of the combinatorial characteristic of the opportunities there, not because there’s something different about the soil its on. If you split NYC's population into 10 distinct, distant cities, the land values in each of them would be significantly less than the combination of them all, because the number of possible connections between people, firms, opportunities, and ideas is so much lower. This sounds like terrible news for the YIMBY coalition. This agglomeration model might imply that as we build more, prices would go up. This would split the camps right down the middle. Building more would work towards the opportunity objective but bring us even further from affordability. (2) The entire bottom part of the market is cut off right now. Even if #1 isn't true, we can still work to expand the stretch of the market through regulatory reform, technical innovation, cultural change, etc. In other words, we can try to figure out how to fit more people into the space we do have. A lot of laws exist to effectively cut out the bottom part of the market. (The mechanism here is similar to the argument for how the minimum wage is in fact bad for the very low-wage workers it aims to protect.) Laws like minimum lot sizes, setbacks, amenity provision, max numbers of occupants, etc effectively make it illegal to build affordable housing. Many of these laws were introduced to protect people from unsafe tenement living conditions, and probably rightfully so. But some of them are definitely not for the sake of safety or consumer protection (e.g. setbacks, certain aesthetic requirements, height restrictions). If we could peel back the laws that make it prohibitively expensive to offer cheap housing, we could lower the marginal cost of building, which should in turn lower the market rate. Tokyo is a useful example here. It’s experienced the same return-to-the-city wave as other developed nations, yet land prices have remained steady. I point to Japanese willingness to squeeze the value out of a place rather than insisting on extravagant space requirements as the key driver of this affordability. There’s a reason Japan is famous for its capsule hotels and small apartments—Japanese land use policy allows and encourages it! Of course most people would prefer to live in a big apartment than in a tiny closet-sized one, but in Japan they at least have that option. By allowing landowners to serve the bottom end of the market, it lessens pressure on the rest of the market. By contrast, in the US there is a floor to the amount of space you can offer someone. Again this regulatory impulse comes from a good place—it can be legitimately dangerous and unsanitary to cram people in tiny space—but we could go much farther than we currently do while still maintaining a baseline level of safety and comfort for everyone. The purpose of this post is mostly to note the distinction between these two (maybe conflicting?) priorities in the YIMBY movement; I myself am not settled on the question of whether the agglomeration effect overwhelms the supply-demand effect. At the margins YIMBY activists are working at right now, I think it's much more likely than not that the affordability and opportunity objectives are aligned. Curious to get others' input, especially if you have data/models I didn't mention here. I'm working on some analysis to determine what these coefficients are in order to figure out whether they are in conflict or not. Will share the results in a follow up post! Thanks to Sebastián Bensusan for helping formalize these ideas and to Brian Lui for prompting and challenging this train of thought.